Imagine your baby or the baby of a loved one has been lost. Finding the child just became urgent. 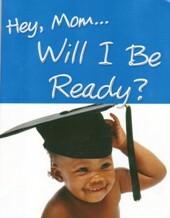 Imagine the baby is found and at home with mom and you and about half of the seekers of growth know mom does not see, understand or can find the best practice early reading education needed to make certain her child will not be lost (behind) for the rest of his/her life before the age of six. We both wish finding that best outcome could become most important and urgent for the whole of us. We both wish a mentor and tutor for mother and child best outcomes before the age of six, if needed, was routine. We both know the benefit is far greater than the cost, but the cost is now and benefits are later. This is typical private sector. Half the seekers allow the public sector to deliver worst, poor or good early reading education while actively work on other issues that are less important but “urgent”. That is what this site is all about. 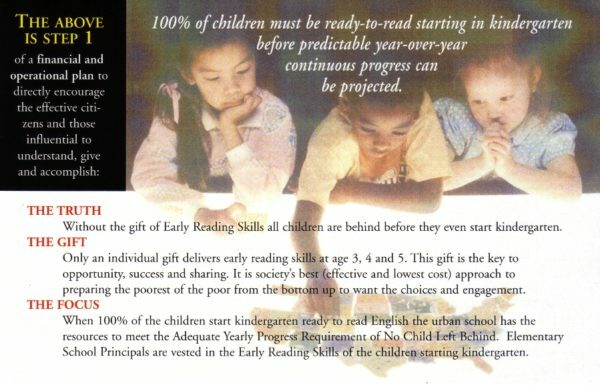 From the private sector best practices and outcomes to the NewOldMoney for 100% of plus 4 million children starting kindergarten ready. Clearly 2 million children are almost hopelessly behind at age 6. But reading readiness is prioritized as “important but not urgent in the words of Stephen Covey’s detail of effectiveness. Making it most important and urgent before politics, race, creed, culture, public sector and equality are even considered requires active private sector investment and urgency NOW. Now by you in the grassroots because the public structures hopelessly deliver only worst, poor and good outcomes as the source of our divide. Individual best influence of our age 0-6 education that would impact K-12 systems are parent driven not government driven; but, can be assisted first things first with paid mentors and tutors. We are proud to have caught up to you to be able to make urgency a unique viable choice for you. We use absolute best practice as a goal for positioning and focus on the strongest private sector entity in the world for the NewOldMoney needed. Don’t kid yourself, only urgent positioning with major grassroots numbers will trigger the new private sector investment (NewOldMoney) to urban mom through the school districts; And when it does – the massive return will result and the present value of positive expectations from Pre-k will fill communities as described in chapter 28 of the Absorbent Mind by Maria Montessori. She was urgently writing for future ages before the end of World War II as a proponent of private sector business related to age 0-6 children. Urgent private sector money flows with the attitude of commitment to real outcomes. The way to pressure the strongest private sector entity in the world for the NewOldMony needed is to invest and then join as business grassroots the email march needed to change the structures to highest quality and best practice.